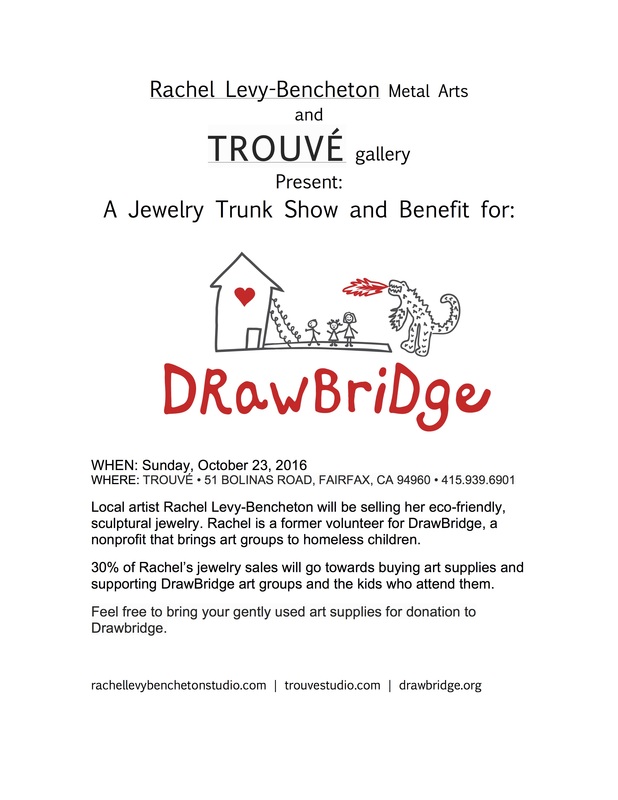 Jewelry Sale A Benefit for DrawBridge! DrawBridge Party in the Works! Please Save the Date! Our next big fundraising celebration will be THURSDAY, MARCH 23, 2017 at the fabulous TWITTER Aviary. Twitter puts on a fantastic party at its 10th floor event space on the corner of Market and Tenth Streets in San Francisco. Please plan to join us! More details soon!